Oregon is producing three times more marijuana than it can consume with “formidable” amounts now ending up on the black market, officials have warned. US Attorney Billy Williams told law enforcement representatives from across the US on Friday that the state, where recreational cannabis use is legal, had a serious overproduction problem. Mr Williams said officials needed a "bottom-line answer" on how much excess marijuana was being produced and how much of it ends up on the black market. In a local newspaper column last month, the attorney warned huge surpluses were attracting criminal networks, causing money laundering and drug violence. Authorities in 16 other states have reported seizing marijuana produced in Oregon, while postal agents have intercepted more than 2,600 pounds of cannabis (1,179kg) and $1.2m (£850,000) in associated cash. "Here's what I know in terms of the landscape here in Oregon and that is, we have an identifiable and formidable marijuana overproduction and diversion problem," Mr Williams told officials. “Make no mistake about it, we are going to do something about it." The summit had been called after Attorney General Jeff Sessions withdrew an Obama administration memo guiding states with legalised cannabis on how to avoid federal scrutiny. Representatives from 13 other US attorney's offices were in attendance, as well as the FBI, the US Postal Inspection Service, US Forest Service and US Customs and Border Protection. Oregon voters approved the sale of recreational marijuana in 2014 and it became legal the following year. The state has allowed the use of cannabis for medical purposes since 1998. It now has 900 licensed recreational growers, with more than 1,100 licenses awaiting approval. Some 500 retailers are licenced to sell weed and another 250 applications are pending. Advocates deny legalisation has caused a spike in black markets sales and instead claim legal cannabis is much easier to track. However, former Oregon State University professor Seth Crawford told the summit the state had created the overproduction problem by not capping the number of recreational cannabis producers. "If you were an investor and you had just dropped $4m into a [marijuana] grow and you had thousands of pounds of flower that was ready to go but you had nowhere to sell it, the only thing you can do is sell it on the black market. "It was a system designed for failure. You created this huge industry that has nowhere to put its product." 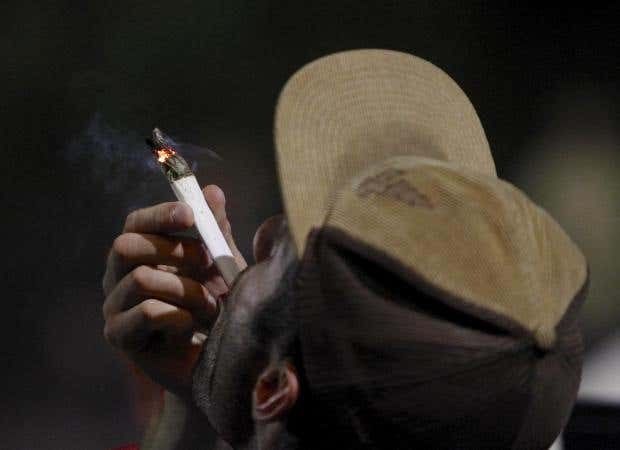 Leland Berger, an attorney who specialises in marijuana cases, said: "When I moved to Oregon in 1979, cannabis was a billion-dollar crop then, so the notion that this is somehow caused by legalisation or by the medical program is something that's misplaced."